The Office of Personnel Management is facing a growing backlash against its proposals to revamp the federal charity drive. The protests over OPM’s Combined Federal Campaign reform ideas have taken a number of forms, including comments to the media, a recent petition on the White House’s We The People website and more than 600 comments on Regulations.gov. The rule OPM proposed in the April 8 edition of the Federal Register aims to reform the charity drive in 13 “key areas of change.” The changes were based on recommendations from the CFC-50 commission, a group of former lawmakers brought together to help bolster the charity drive, which in recent years has seen falling donations and participation rates. The rule’s comment period was set to end Friday night. Elimination of the paper pledge: The memo said that the emphasis on an online method would eliminate 85 percent of donations in the first year alone. Proposed fees: Charities would have “no guarantee on their return” after paying the agency an up-front fee, according to the memo. 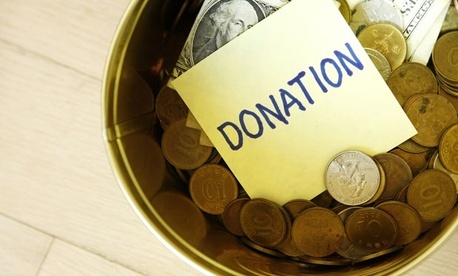 It added that thousands of smaller charities would choose to opt out of the CFC instead. “Only with a strong public outcry will we be able to defend our local charities as well as the vital funds that grant nonprofits the ability to serve and strengthen those in need,” the memo said. The memo said large organizations including United Way Worldwide, Community Health Charities and America’s Charities had written a letter to OPM with concerns that the new rule would reduce donations by more $100 million next year. OPM did not respond to repeated requests for comment.